With the diversification of road cycling and the growth of gravel and multi-surface riding, Shimano has responded with the introduction of the new Ultegra RX rear derailleur with chain stabilizing technology. 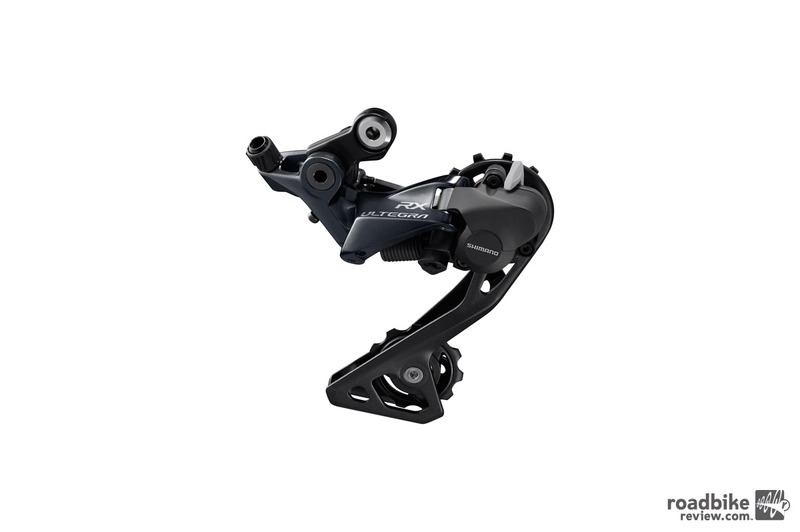 The new RD-RX800/RX-805 rear derailleurs, for mechanical and Di2 systems respectively, utilize Shimano‘s Shadow RD Plus derailleur technology that has been adapted and tuned for road drivetrains and riding conditions. RX800 expands the potential of Ultegra R8000, combining chain stabilizing features with the same performance characteristics of Shimano’s most versatile performance road drivetrain. Shimano Ultegra RX 805 Rear Derailleur. 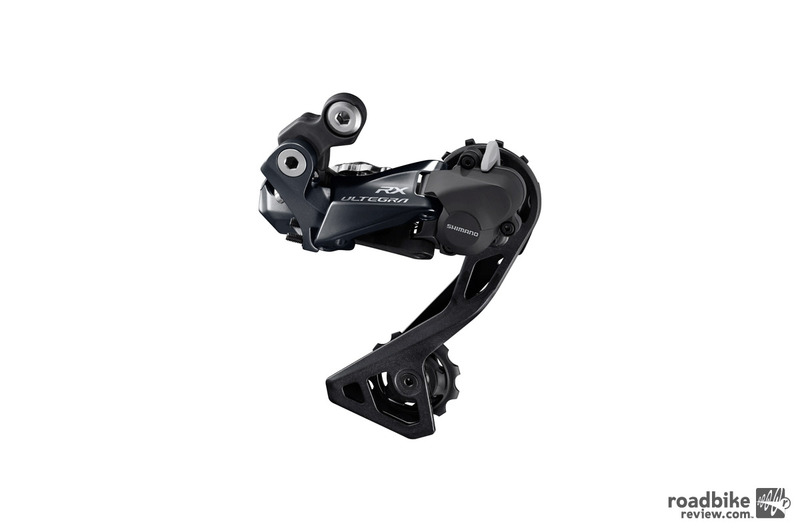 The new RX800/805 rear derailleurs feature Shimano Shadow RD Plus technology and precise accurate shifting, but with the added chain stabilizing switch to control the drivetrain over rough or uneven ground. Much like Shimano’s mountain bike derailleurs, the On/Off switch can be found next to the upper pulley. When activated the rear derailleur pivot takes a firm hold to reduce excessive movement, noise and general chain chatter. The RX800/805 rear derailleurs are compatible with road dual control levers (mechanical or Di2) and will accommodate an 11-28T cassette up to Shimano’s wide-range 11-34T cassette. Shimano Ultegra RX 800 Rear Derailleur. To learn more, head over to bike.shimano.com.